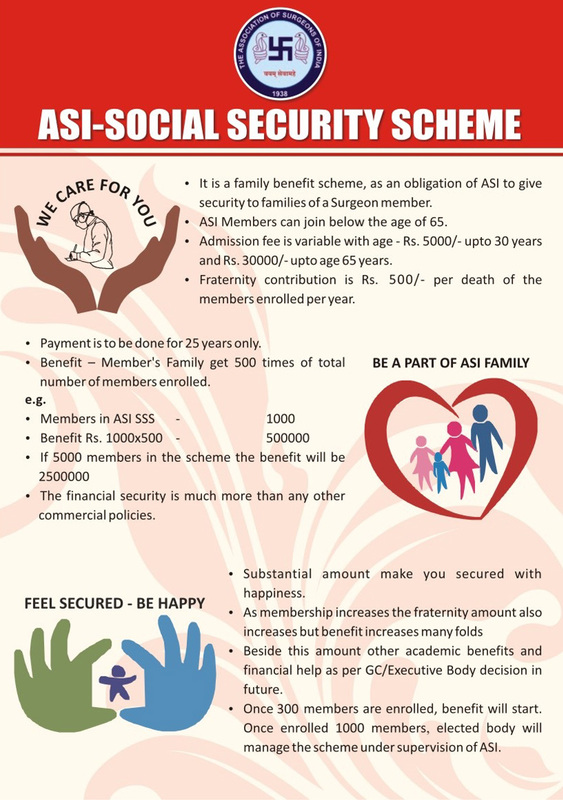 Best Scheme offered by ASI in case of Untimely demise of a member. No involvement of Insurance Company. So NO Fund Management Charges. 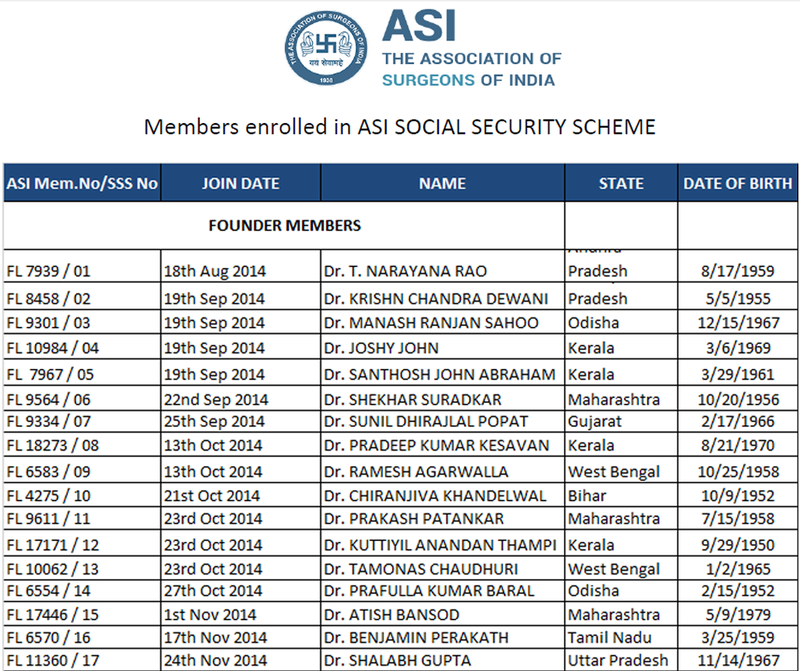 Only Full Life ASI Members can join below the age of 65 years. Admission fee is variable from Rs. 5000/- to Rs. 30000/- as per age. EARLY ENTRY, LESS ADMISSION FEE, MORE MEMBERS MORE BENEFIT. PREDICTIONS: Contributing a total of One – Two Lakhs in 25 years to your fraternity becomes ONE CRORE PLUS for your Family. Fill your personal details in ASISSS Form. Attach copy of your PAN, Aadhar, Photo of self and Nominees. One Time Admission Fee by Cheque / NEFT / Card. CASH NOT ACCEPTED. Every year Member pays Annual Subscription of Rs. 1000/- and Fraternity Contribution of Rs. 500/- per death for a continuous 25 years. Sufferer’s family gets 500 times of total members enrolled. LOYALTY BONUS ON SUCCESSFUL COMPLETION OF 25 YEARS. MORE BENEFITS TO BE INTRODUCED AS THE SCHEME GROWS.